What is Equine Bowen Therapy? Equine Bowen Therapy is based on the principles of the Bowen Technique, pioneered by the late Thomas Ambrose Bowen, born in 1916 in Geelong, Australia. It's believed that Tom Bowen initially worked on greyhounds and racehorses, having a remarkable result with one horse who came second in the Melbourne Cup. Equine Bowen is a gentle, non-intrusive therapy which stimulates the body's inner ability to heal itself to be activated. This re-organisation of the musculature of the body can bring increased energy levels and pain relief. As a soft tissue therapy, there's no pulling or cracking of joints and no insertion of needles. The therapist uses fingers or thumbs in a rolling action over specific muscles, tendons and ligaments, incorporating resting periods to allow the body to absorb the information and respond accordingly. The therapy is essentially holistic, treating the whole body and is generally a pleasant and relaxing experience. What is Canine Bowen Therapy? 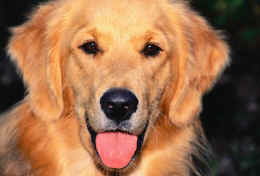 Canine Bowen Therapy was developed in 2001 by established Bowen therapists, Sally and Ron Askew. Like Equine Bowen Therapy it's based upon the principles of the original Bowen Technique, developed by Thomas Bowen. Subtle hand movements are used over specific points of the dog's body, to promote healing. How Long Will A Canine or Equine Bowen Therapy Session Last? An Equine Bowen Therapy session will take approximately 45 minutes, whereas a Canine Bowen Therapy session typically will be approximately 20 minutes (although an initial consultation may take longer). Two or three separate sessions, usually at weekly intervals, may be required to achieve lasting relief. How Can Bowen Therapy Help My Horse? Sluggish lymphatic system or weakened immune system. How Can My Dog Benefit From Bowen? Equine and Canine Bowen Therapy can help all horses and dogs - whether used in competitions or those who've a more leisurely lifestyle. It's frequently used as a preventative measure too. Please note: Equine and Canine Bowen Therapy are not intended as a substitute for veterinary advice or treatment. Always consult your Veterinary Surgeon before trying Bowen Therapy - qualified therapists will normally want to liaise with your Vet anyway. 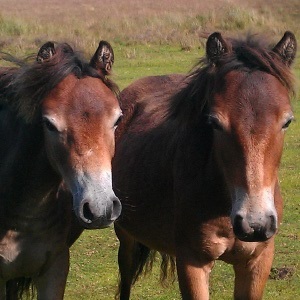 Would you like information on Equine or Canine Bowen Therapists near you for your animal? Please email us at info@taranet.co.uk - we'll be pleased to try and assist, wherever you are in the world!